In the kitchen, new resolution for 2019! 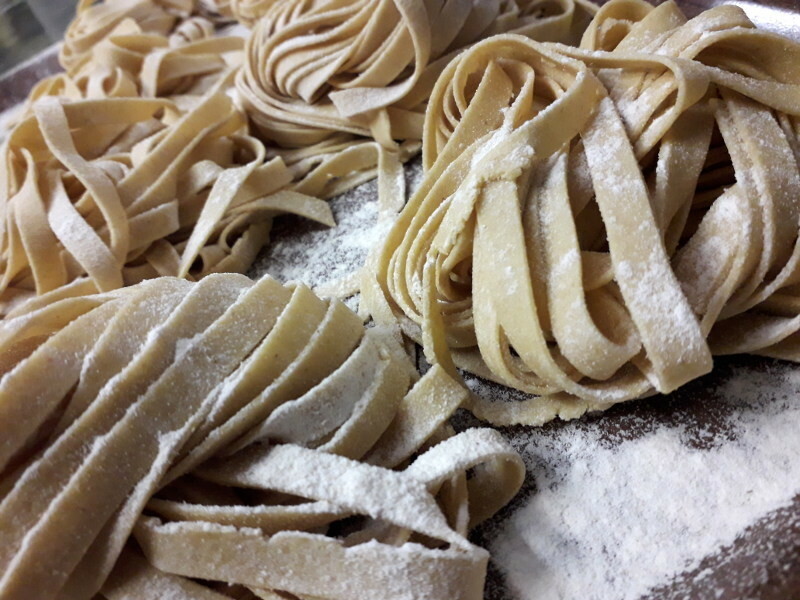 To make pastas, you just need flour and eggs..! Locally, we have an organic flour producer and a breeder for organic eggs, so let’s do it! 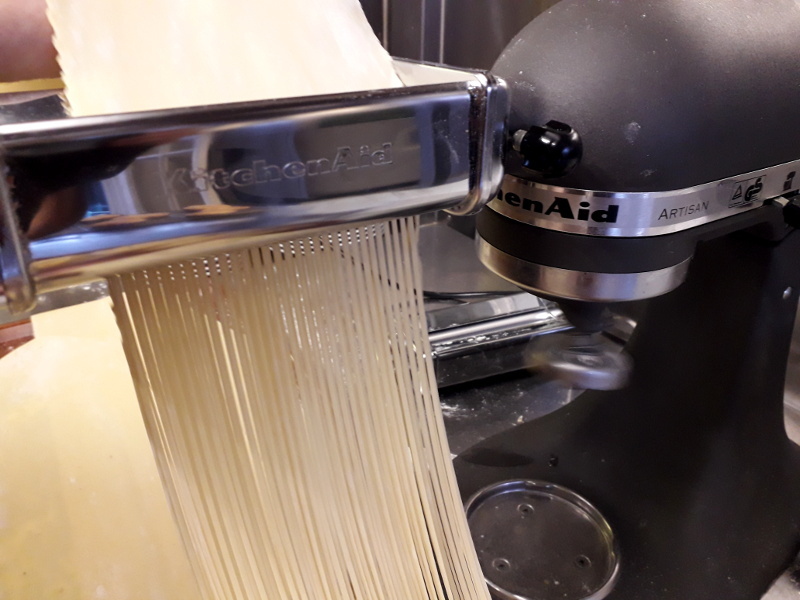 Now pastas served at La Tonnellerie are “home-made”, 100% organic and local! It will be of course the same for the children menu! 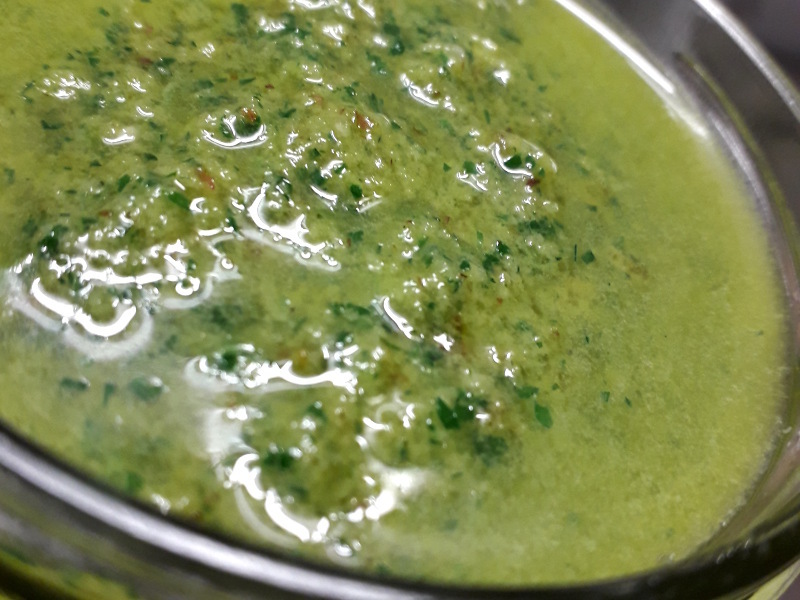 To go with, why not a fresh herb pesto? All year round we can make pesto, like this one (picture below) prepared in winter with organic rocket salad from the farm “Les Perrières”, 20 minutes away. Enjoy!